The Special Olympics. What’s so special? The World Special Olympic Games are in LA this week. There are a few small, subtle differences between Olympians and Special Olympians that only a trained, veteran sports journalist such as myself would notice. Olympians do not yell “I love you” to their mothers in the stands 10 seconds before they are to swim in the 200-meter medley relay. On occasion, Special Olympians have been known to do just that. Such as Saturday at the Hamilton County Special Olympics swim meet. At the conclusion of the playing of the “The Star Spangled Banner” to open an event, Olympic swimmers do not yell, “Play ball!” Special Olympians might. They, in fact, do. Olympians don’t do cannonballs off the starting blocks when commencing a 50-meter freestyle race. Ain’t that right, Jillian Daugherty? “That’s not my daughter,” I said, as some really cute kid atop the No.3 box on the stand started doing the Mr. Universe bit. “Look at Jillian,” said the helpful folks to my right and left Saturday at Princeton High School. It’s special, all right. But it’s not special in the way you might think it is. Here’s what’s special about the Special Olympics. It’s a few hours of people being good to each other. It’s an interlude of consistent decency. Humanity is front and center, in all its fragile glory. Kids with walkers, autistic kids, kids with Down Syndrome. A blind girl walks around the pool deck during the opening ceremonies, cane in hand. Tapping. Volunteers, helping kids into and out of the pool. Volunteers walking the deck, stride for stroke with kids whose best ability is a spirit for giving everything they have. One kid takes almost a minute to swim 25 yards. A volunteer is with him every stroke of the way, urging gently. When volunteers can’t help because they’re busy elsewhere, the kids help each other. “Here,” they say. “Give me your hand.” When the races are done, the loudest cheers don’t go to the kid who finished first – they go to the kid who simply finished. I refuse to make this into syrup. The Special Olympics aren’t a Hallmark convention, OK? Please do not use the opportunity to applaud for one of these children as a reason to feel good about yourself. Applaud them because they deserve it. The only thing worse than patronizing Special Olympians is ignoring them. After all: Doesn’t every parent see his child as special? 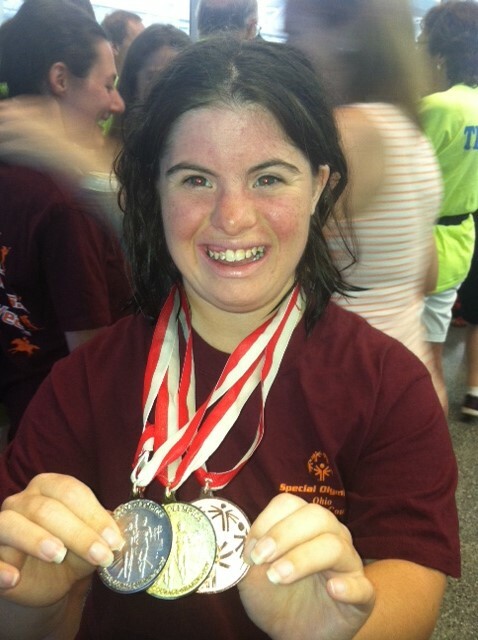 Many Special Olympians are very good swimmers and proud of it. Some are not. Some kids hold the wall with one arm while stroking with the other. Some kids stop halfway to tread water and catch their breath. Sometimes, a kid is spooked enough by the starting horn and the sound of the crowd, he can’t make himself get in the water. Olympians are perfect, or as close to perfect as they can make themselves. Special Olympians are more like the rest of us. Before she started auditioning on the medal stand for “Dancing With the Stars,” the bronze medalist/showoff lingered in the water, long enough to slap hands with the girl in the adjacent lane that had beaten her for the silver. Before her own race, J. Daugherty stood on the deck, cheering a teammate already racing. She helped a kid out of the water. When her boyfriend, the highly impressive Ryan Mavriplis, won the gold in the 25-yard free, J. Daugherty took gold in the 25-yard smile, ear-to-ear division. She’s happy when others are. It’s pretty special. She’d eaten pancakes before the meet. “Power breakfast,” she called it. When she finished fourth in one event, she pouted. We’re working on that. Before the meet, she climbed the stands. “I came up so you guys could wish me good luck,” she announced. Her friend Margo competed in the 100-yard backstroke. Margo won the race – and kept swimming, another 25 yards. Which is a nice metaphor, if you’re looking. Having a child born with Down syndrome is an education in about a million different ways, most of them good. From Jillian, our family has (re)learned the power of kindness and what it means to be empathetic. We’ve discovered the magic of the moment. Jillian slowed us down, never, ever a bad thing the way our lives are today. She rarely has a bad day. Her actions make us wonder why we ever have one. Indirectly, Jillian also showed us the power of language. Words are perception and too often, perception is reality. We have effectively taboo-ed the N-word. It is seen nearly universally as hateful. I have changed my position re “Redskins”. As a sports journalist who works in the words business, I should have realized the power of the pejorative. There is context and intent, of course, and each should be taken into account. There is no positive context or intent associated with the R-word. It’s time to get rid of it. Past time, actually. No one has ever used that word to describe or deride my daughter, thank goodness. Kids were never mean to Jillian. They became distant instead. Sometime late in elementary school, kids stopped inviting Jillian to their sleepovers and birthday parties. That was awful, but it didn’t perpetuate a stereotype. Thankfully, I’ve never heard the R-word used in her presence. It’s out there, though. LeBron James has used it publicly at least twice in the past four years, in reference to media questions he didn’t like. George Clooney used it in an Oscar-nominated movie, The Descendants, in 2011. It’s a useless word. It needs to go away. Here’s a great story from ESPN.com, about the efforts of Cleveland Browns all-pro cornerback Joe Haden, whose concern is prompted by his younger brother, who has a cognitive disability. Haden is a spokesman for Spread The Word To End The Word. Have you heard of this organization? Anyone taking the time to See our kids, rather than simply Look at them, would never consider using the R-word again. A local mom is suing the YMCA because her 6-year-old son born with Down syndrome was asked to leave the Y’s summer camp. Y officials said her son could not be supervised adequately, and they feared for his safety. The mom enrolled him in another YMCA camp, for kids with disabilities. She says her son loves the new camp. So, what’s the problem, you might ask. Why is there a lawsuit? Son’s happy. YMCA is happy. The message here isn’t about whether the boy’s behavior isn’t acceptable for the “typical” kids camp. Mom says it is. The Y people disagree. I don’t want to get into a he said-she said debate, or deal with any of the possible underlying reasons the mother has filed a lawsuit. My only point here:The mom is absolutely right in wanting her son to be with typical kids. We fought to have Jillian fully included in regular-ed. classrooms, for the same reason. Modeling behavior is huge at that age. JIllian had aides in class, to help with her schoolwork. Equally important, she had typical kids around her, to help with her socialization. In Grades 5-8, school administrators wanted Jillian to be in a “unit classroom.” In high school, teachers wanted her taken from the regular-ed classroom for parts of the day. We fought against all of it, and won. The most important part of Jillian’s education during her four undergrad years at Northern Kentucky University didnt always occur in the classroom. It was how she learned to cope on a big campus with no one to walk her around. If she got lost, she had to ask questions. As a result, she is very social and entirely self confident. It’s a simple concept. If you want a hitter in baseball to raise his game, put him up against better pitching. In secondary school, Jillian had to behave the same as everyone else, if she wanted to fit in. The same in college, or in any public setting. Here’s hoping that the mother settles her issues with the Y, and her son’s behavior is appropriate enough that he can rejoin the camp with typical kids. Peer modeling is vital for our kids with disabilities. 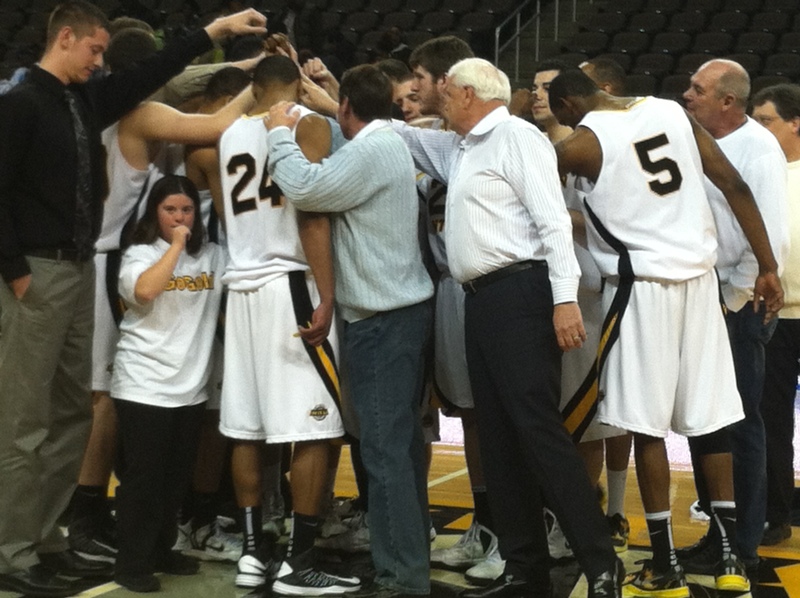 Jillian managing the NKU men’s basketball team. We forever underestimate the resiliency of our children. We “spare” them bad news, “shield” them from hurt. Their cocoon is special and should not be violated. That’s too bad. They have so much to teach us. Kids who have been sick and then recovered own a sort of understanding and maturity most of us can only wish for. They know what matters. I write sports for the Cincinnati Enquirer, and was blessed to have known Lauren Hill. I don’t know Leah Still, but I know her dad. These are extraordinary people. I hope you watched the ESPYs Wednesday night. They honored Lauren and Leah. The video tributes left me reaching for the Kleenex and suggesting I must have gotten something in my eye.Lauren was diagnosed with a rare form of pediatric brain cancer. She lived about 18 months after that. She was an earth angel. It wasnt just that she raised nearly $1.5 million for research. It was that she spent every minute being an example of our best selves. Never has a young woman approached certain death with more grace and dignity. Lives have been changed thanks to her courage. And will continue to be changed. Leah Still is a 4-year-old girl, whose cancer is in remission. Her father, Devon, is a member of the Cincinnati Bengals. Devon’s devotion to Leah — and the way he has dealt publicly with her illness — are shining examples for anyone seeking to be a better human being. Which is all of us. Still played football on Sundays and dad the rest of the week. He was with Leah, in the hospital and out, whenever possible. Leah, strengthened by her dad’s love and resolve, is herself loving and resolute. Her spirit will take your breath away. Our special needs kids do the same stuff. They know they’re “different.” Kids with Down syndrome understand they’re not “typical” but they don’t dwell on it. In fact, in my experience, they revel in it. Jillian and her new husband Ryan are “special” but not in the obvious way. They’re special for the love they enjoy, and the joy they inspire. They’ve been through a lot, same as Lauren and Leah. Jillian had bronchiolitis at six weeks, spent 12 days in the hospital and almost died. She emerged better and wiser for it. Her parents emerged more grateful than ever for her glad presence in our lives. Anyway, here’s to our courageous kids. They have much to teach the world. Rob Snow interviewed me recently. We discussed all kinds of stuff, but the theme centered on how Kerry and I raised Jillian. I’m always hesitant to offer parents advice. Child-rearing is a very personal thing, and never one-size-fits-all. We have lost friends because of our philosophy regarding our daughter. That should never be. Parenting is like putting in golf. It’s mostly feel. We inherit certain beliefs, we discard others. We make mistakes. We try to learn from them. The one thing I will say for sure is, we raised Jillian the same way we raised our 29-year-old son, Kelly. Same expectations, same responsibilities. Jillian had household chores, she had homework. Her disability never was an excuse for not doing something. We didnt shelter our “typical” son. Why would we shelter our daughter? We let Jillian define herself. She would tell us what she could and couldn’t do. It was hard for us to do, sometimes. Parental instincts are what they are. But that’s how we did it. Everyone’s different and that’s OK.
You can also access it at rob@standupfordowns.org. The book is about life, unconditional love, heartbreak, overcoming challenges, making the best of the hand you are dealt, and breaking down preconceptions. It is also about pausing to savor an accomplishment instead of looking ahead to the next challenge. It is much more than a book by a local sportswriter about his daughter. It could be one of the best books you read this year and deserves to be on a national stage. You will be a better parent for having read the book. You will definitely be a better person for having read it. Vacation is a state of mind as much as an excursion. It’s the one week of the year we gather as a clan with the only concerns being the weather and the restaurant choice, When life is stripped temporarily of its burdens, living ensues. We’ve spent every summer for at least 20 years at a beach somewhere, with one or both of our kids and, for the last seven or eight years, their significant others. It’s gotten so I can’t imagine a beach trip without them. This year was different. 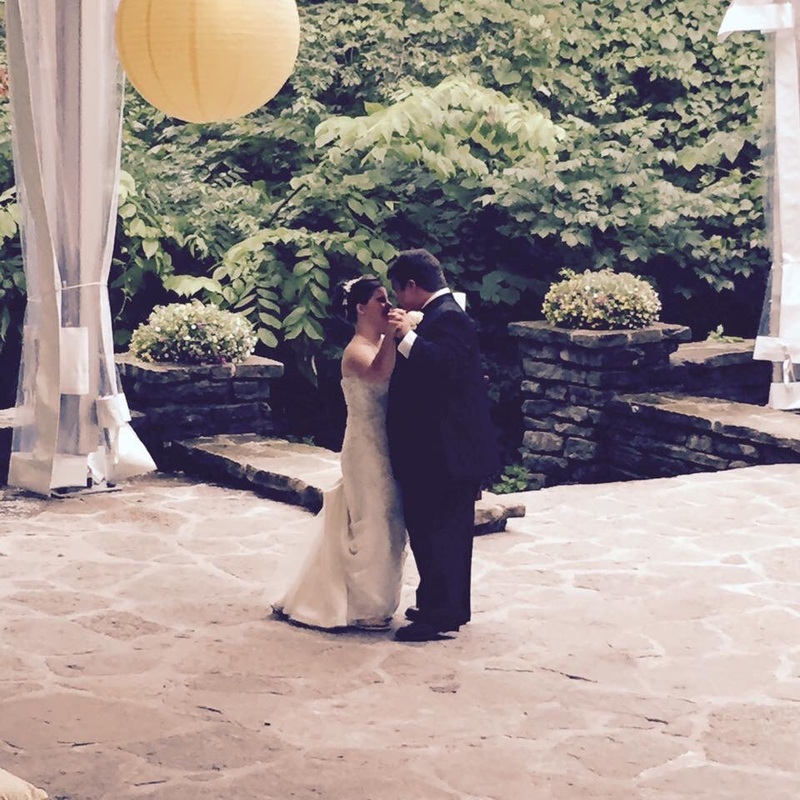 Jillian married Ryan June 27. We needed a spot where the newlyweds could be alone, yet close enough to us if they really needed something. We settled on Hilton Head Island, SC. The happy couple got a week in a resort hotel. The four in-laws rented a condo maybe half a mile down the sand. 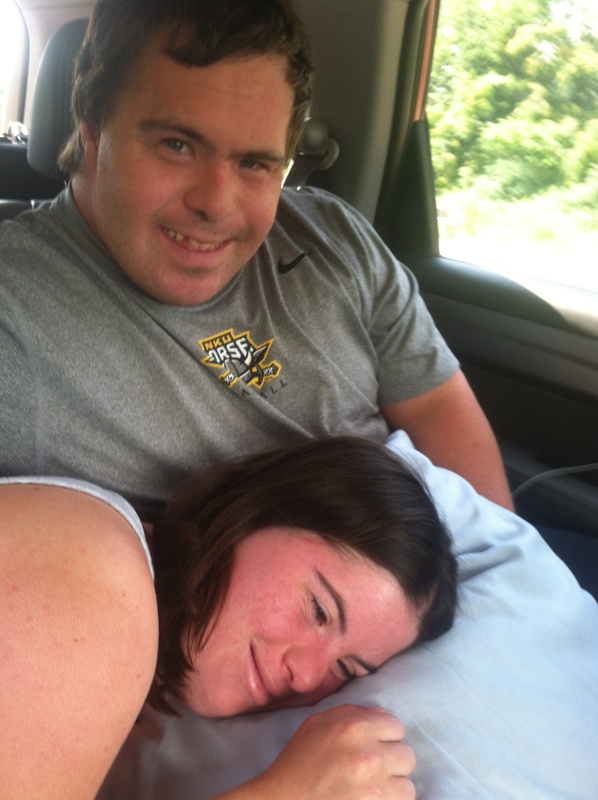 Jillian and Ryan have lived together for nearly two years, so self sufficiency isn’t an issue. All we had to do was set them up: Rent them an umbrella and two chairs, tell them about the hotel’s courtesy shuttle to local attractions, remind them that sunscreen use wasn’t optional. We barely saw them all week, and when we did, it was on their terms. When you plan for your kids’ independence, it’s no surprise when it actually happens. Jillian takes four Metro buses daily, from their apartment to her job. Managing a courtesy shuttle? Not hard. She and Ryan are naturally gregarious. Both spent four years in college, on a big campus. They were encouraged to ask for help when they needed it. So, navigating a sprawling resort hotel wasn’t an issue. “We have lots of friends here,” Ryan remarked the day before we left. In most ways, they’re already like an old, married couple. In others, they’re delightfully not. Since their wedding day, Jillian and Ryan seem to have a renewed appreciation for what they mean to one another. Ryan has always said to me, “I always take good care of your daughter, sir,” so much that when he doesn’t, I remind him. But the honeymoon took that to a higher degree. 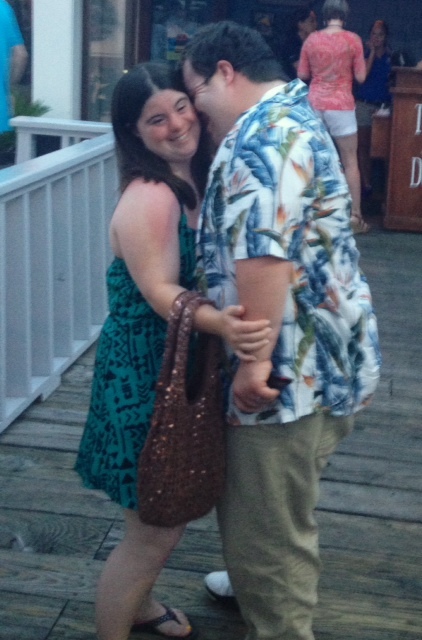 Ryan spoke of caring for Jillian’s sunburned shoulders. Jillian wanted nothing more than to snuggle. This is all Pollyanna stuff, sure. But it’s also an affirmation that our kids with special needs are capable of so much. They express love freely, and without guile or agendas. No worries there. They are capable of being selfless and romantic. They appreciate the need for mutual respect and tolerance, maybe better than the rest of us. They know they’re in this together. The week went instantly. The memories will remain.